Clay – the essential ingredient for pottery and ceramics. Taken from the earth, processed and refined it becomes, in the artists’ hands, capable of producing objects of extreme beauty. 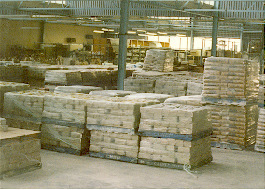 Walker Ceramics has been producing clay for over well over 100 years. 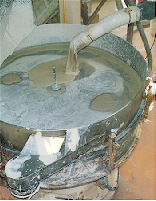 The time that the slurry remains in the filter press will vary according to the clay body. The moisturecontent is reduced to about 22%. 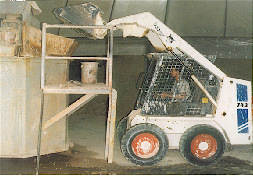 The clay is removed from the press in the form of cakes weighing from 20 to 45 kg. Clay is one of the most satisfying materials to work with. It consists of millions of tiny plate-shaped particles. Water enables these particles to slide over each other without breaking. When a clay body is about 22% water it is easily moulded. Man has used clay throughout the centuries to produce both functional and decorative wares. These are prepared in large batches in slip form that is then finely sieved and passed over rare earth magnets. 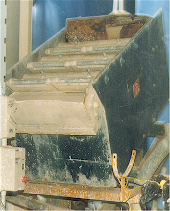 The slip is pumped into filter presses for water removal prior to pugging. Slip housing gives clay uniformity and virtually guarantees freedom from contamination. 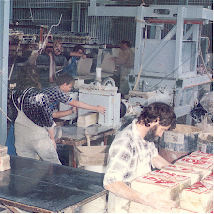 Hand building bodies are produced by our hammer mill method – very similar to a brick plant. These clays are produced in our Feeneys plant in Queensland. 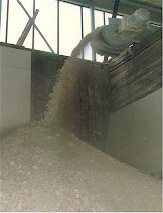 All materials are hammer milled and dry classified to approximately 10-14 mesh, then extruded through a de-airing (vacuum) pugmill. This gives excellent and reliable control of grog and water content, but it is more open to occasional inclusion of larger or extraneous particles arising in the ingredients or during processing. Originating in 16th century China, this type of clay body is very coarse and has very good thermal shock qualities i.e. it can handle sudden changes in temperature. It fires at low temperatures starting at 800°C and is suitable for saw dust or wood fired kilns as well as normal pottery kilns. The primary type of clay used for pottery throughout the centuries. It is fired at low temperatures so that the ancient cultures were able to use basic firing techniques to produce very functional and durable pottery. 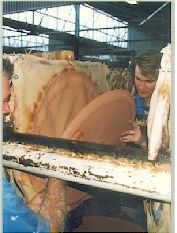 The texture of earthenware bodies can vary from very coarse through to very smooth. This type of clay body fires at a much higher temperature than earthenware. It produces hard, strong pieces and therefore is good for oven-to-table ware and other functional wares. This clay body is very white but fires at lower temperatures than porcelain. Developed by Josiah Spode, it was used to produce less expensive white translucent ware. Fine, white, translucent ware is made from ball clay, china clay, silica and feldspar. Originating in China, this body is renowned for its whiteness and purity. Ideal for fine tableware, it has excellent strength and is traditionally fired only once, but most craft potters nowadays follow the bisque/glaze fire process.